You can now pre-order the Motorola's latest budget-segment Moto C in the UK. The 16GB ROM variant of the Moto C which comes with 1GB RAM costs £88.99 (including VAT). The device can be pre-ordered from Clove and is available in Pearl White, Metallic cherry and Starry Black color options. The Moto C sports a 5" WFVGA display (854 x 480) resolution, 2MP front camera with selfie flash, 5 rear camera with LED flash, 2350mAh battery, Quad-core processor, 1GB RAM, 16GB internal storage. The device is available in Pearl White and Starry Black color options. Interestingly, there's no information about the availability and pricing of the Moto C Plus. 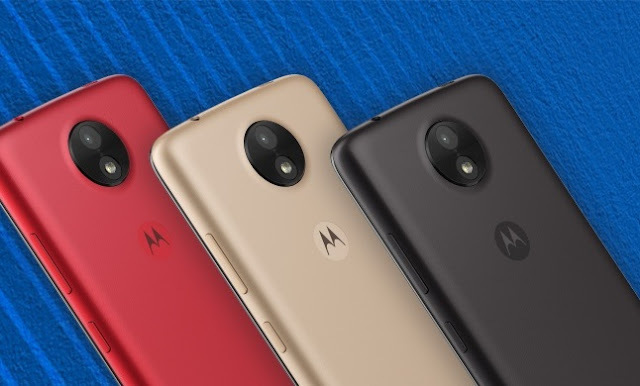 However, the Moto C Plus is the exact same phone as the Moto C in terms of design and color options, Specs wise, the C Plus features a 5" 720p panel (1280 x 720), 8MP rear camera, 4000mAh battery, Quad core CPU, 1GB RAM, 16GB internal storage with dual SIM support. Moto C can be purchased readily in India and few other countries. However Motorola plans to make the Moto C and Moto C Plus available beginning this spring in various countries across Latin America and Europe.